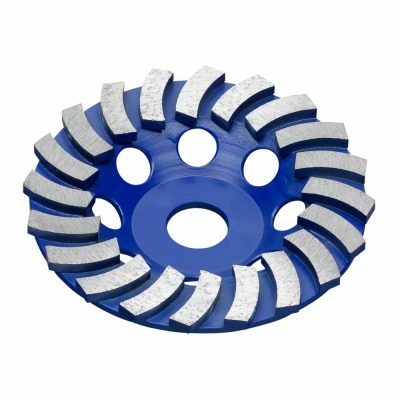 Diamond grinding cup wheels are available in sizes to fit most popular angle grinders from 100mm through to 230mm. 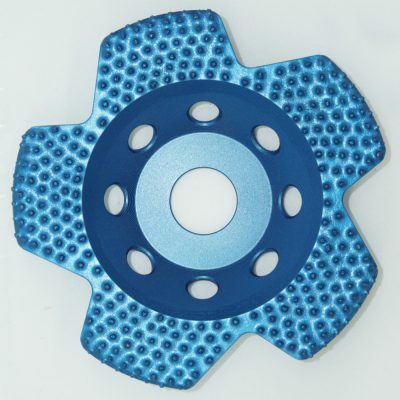 Our best selling grinding disc is the 180mm “Turbo Plus” that is fitted with 24 segments, 10mm high. Typical applications include: grinding and reducing concrete, removing trowel marks and imperfections, removing paint and coatings and preparing floors to receive coatings and finishes. Often used along with a suitable dust cowl when preparing floors, walls and edges where larger flooring machines cannot gain access. Very popular and effective for removal of tile adhesive, latex or bitumen. 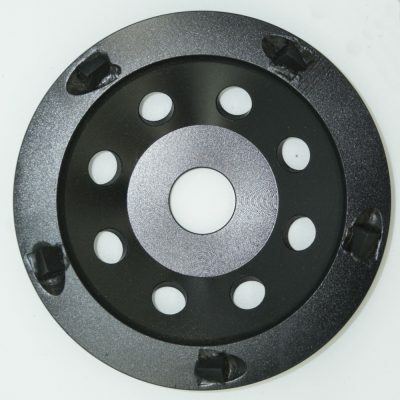 They are an extremely aggressive disc for the removal of coatings they are not suitable for grinding down concrete levels. They are designed to remove coatings and adhesives with an aggressive scraping action before the material has time to become hot and flexible which usually results in smearing rather than removal. “Grizzly” Diamond Cup Wheels are intended for the fast, effective removal of coatings, adhesive and bituminous materials. Available for fitment to 125mm, 180mm and 230mm angle grinders and also as bolt on segments for pedestrian controlled floor grinders. “Grizzly” Winged Diamond cup grinding disc.